Princeton’s visit to the beautifully renovated Kirby Sports Center on the tree-studded campus of Lafayette University last night was marred by the frosty reception awaiting the Tigers. The players stepped off the bus into a cold, blustery night far more typical of a Pennsylvania January than mid-November. The arena was warmer, but no more hospitable for the young and still struggling Tigers. For the first time this season, Mitch Henderson’s offense ran smoothly and efficiently from the outset through the initial 20-minute period. Princeton’s 44 points was easily its highest output for any half so far, more than doubling its 19-point total in the first stanza at George Mason two days earlier. The Tigers posted a fantastic 60 percent shooting mark (14-for-23) including a deadly 70 percent (9-for-13) from behind the arc. Unfortunately, by rule, possession of the ball goes to the opponent after Tiger scores. Showing disdain for the Tigers’ defensive history, the Leopards veteran team outshot the Tigers (68 percent, 71 percent from three), canning a stunning 47 first-half points. Quite easy to understand why Fran O’Hanlon is so bullish on his chances for a postseason run this year. Tiger fans, grateful to be within reach at the intermission, took some solace in the unlikelihood that the Leopards could keep it up for the whole game. The Tiger fans were right: Lafayette “cooled off” with only 36 in the second period. Not to worry, Fran. Princeton could manage only 22. The only issue in the last 10 minutes was the eventual margin. It was 17 as the Leopards came away with an impressive 83-66 win. Of Lafayette’s total of 83 points, the starting five accounted for 82, as all of them reached double figures. This is a solid team, indeed. The fourth year of the Mitch Henderson era opened on a high note in August when the Tigers’ skipper was declared one of the Top 10 Coaches Under 40 by Bleacher Report. Posting a winning percentage over .640 earns a lot of respect in the coaching fraternity. But Henderson’s 2013-14 mark of 21-9 fails to soothe the sting of an 8-6 Ivy mark, which left the Tigers in a third place tie. In an improving League Henderson may be hard-pressed to improve. Princeton handled its business on Friday night, but on Saturday, the Tigers fell at home to Harvard for the first time since 1989 and dropped to 3-6 in Ivy play. Princeton’s up-and-down season continued its enigmatic pattern with another split at home, beginning with a lackluster 67-57 win over Dartmouth, followed by an historic loss at the hands of the Harvard Crimson, 59-47. Five losses– two in overtime– by a total of 20 points have left a talented Princeton squad on the outside of the title chase looking in. Princeton’s lost Ivy League season reached its mid-point this weekend with a tough battle at Brown on Friday, resulting in a rare road win, and an even tougher struggle at Yale, the next evening, resulting in a heartbreaking OT loss, 66-65. The Tigers’ record is a disappointing 2-5, better only than Dartmouth, where the Tigers also lost in overtime, and Cornell. T.J. Bray hoisted the Tigers on his broad shoulders this week, scoring 46 points on the road, vaulting his name into the center of the POY discussion. In his head-to-head confrontation with Brown’s All-Ivy candidate, Sean McGonagill, Bray emerged the clear winner. His 26 points led all scorers, while McGonagill managed a respectable 16, but shot only 4-15 from the field. The Tigers split the weekend, routing Cornell after losing a heartbreaker to Columbia on Friday. 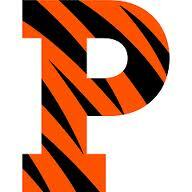 Another disappointing weekend for Princeton’s Tigers, this time at home. Trying desperately to shake off the effects of a disastrous 0-3 start to the Ivy campaign, Princeton relished the prospect of entertaining Columbia, which hadn’t won at Jadwin in 20 years, and Cornell, the Ivy cellar dweller. Against the Lions, Hans Brase got off to another fast start, leading the Tigers to an eight point lead at intermission, 33-25, as order appeared restored in the Princeton universe. The euphoria proved to be nothing more than a mirage, however, as the Tigers’ woes in the Ivy League continued. The gritty Alex Rosenberg, although not shooting particularly well, kept the Lions in the game by getting to the line and converting 8-8 on the evening. After a blistering 11-2 start, Princeton has opened the Ivy season 0-3 for the first time since 2007 under Joe Scott. Princeton’s title aspirations for the 2013-14 campaign were dashed once again by the University’s antiquated tradition of January “Reading Period” and its three week mid-season forced hiatus. A 700 mile bus trip to Cambridge and Hanover is hardly the way to shake off the cobwebs. Princeton’s 0-3 start is much more than a thorn in its paw. This Tiger is hurting. Sadly, this weekend, Princeton squandered career scoring nights from its senior warriors, T. J. Bray (26 against Harvard) and Will Barrett (28 at Dartmouth). The Tigers embarked on the trip as the stingiest team with the ball in D1. A Penn-like plethora of turnovers, 33 in the two games, rendered a staggering blow to the reeling fortunes of the men from Old Nassau. Seventeen games in and Mitch Henderson is searching for answers to questions he never expected to be asked. Princeton couldn”t contain the Big Hyphen and, despite multiple stirring rallies, was dealt a real setback at the Palestra. With a performance worthy of praise from even the most ardent Tiger fans, the Penn Quakers outlasted Princeton last night at The Palestra, 77-74, vaulting themselves into a tie for first place in the Ivy League in the process. Good for you, AQ. And good for you, Jerome Allen. The Penn faithful should cease calling for your job… at least for a while. The Quakers established clear dominance inside right from the start, feeding Darien Nelson-Henry and Fran Dougherty again and again for relatively easy baskets. An early foul by Hans Brase sent him to the bench in favor of Pete Miller, who quickly drew two more, sending the coaching staff to their drawing boards. Penn continued to have its way through most of the first half, helped by the Tigers’ inability to convert their bread-and-butter three point shots. Princeton turned in a gritty performance on New Year’s Eve against the Golden Flashes of Kent State at Jadwin Gymnasium. Despite squandering a 15-point lead to trail by one inside the final minute, the Tigers held on 73-68 to run its surprising season record to 10-2. Kent State slipped to a respectable 9-4. The Tigers won the game at the free throw line, making 29 of 40 while the Flashes managed just 14 of 22. Princeton enjoyed its greatest number of trips to the charity stripe in nine years. Will Barrett led four Tigers in double-figures with 19, including 4 of 8 from behind the arc. Hans Brase (15 points to go with a team-high 9 rebounds), Ben Hazel (13) and TJ Bray (11) rounded out the Tigers’ balanced offensive display. Bray’s 5 assists moved him into sixth place on the Princeton career list, just nine behind Coach Henderson. The teams were evenly matched in almost every statistical category other besides free throws. For the first time this season, Princeton was outscored from three point range in a game the Tigers won. Henderson was visibly relieved to survive a tough game in which his team was arguably outplayed at home. Neither team made a field goal in the final 4 minutes, but Princeton kept the Golden Flashes at bay by making the most of its numerous FT chances down the stretch. Henderson got ten players on the floor for significant minutes, a big factor in keeping his key players out of foul trouble. Next up is a Saturday visit to Lynchburg, VA for an afternoon contest against the Liberty Flames, the final non-conference game for the Tigers before the Ivy opener at the Palestra on January 11. Charles Klauder is a name probably unfamiliar to most Tiger fans, but his contributions to Tiger lore have been rich, indeed. The Philadelphia native was an early 20th century architect of particular renown for his work on college buildings, including the Cathedral of Learning at the University of Pittsburgh and several of Princeton’s distinctive dining and residence halls. He also designed the sites of the two greatest comebacks in Tiger history: the 50-49 win at the Palestra in 1999 in which the Tigers trailed Penn 33-9 early in the second half, and Saturday’s 81-79 OT shocker at Rec Hall on the Penn State campus. The Nittany Lions have not used Rec Hall for men’s basketball since 1996, but invited the Tigers to join them in a nostalgic trip down memory lane. The memory of this one will live for a very long time.